19th March 2017 – Vivian Cheruiyot (KEN) and Chris Thompson (GBR) both continued their preparations for next month’s London Marathon with second place finishes in half marathons. 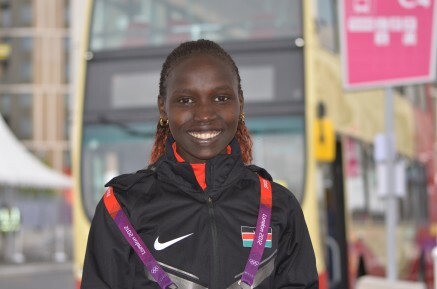 Vivian ran at the IAAF Gold Label race in Lisbon and was part of a lead group of four that was still closely bunched well into the latter stages. Eventutally it came down to a sprint for the line between World Marathon Champion Mare Dibaba and Olympic 5000m Champion Vivian with Vivian just being edged out on this occasion. Vivian timed 69:44 to the winners 69:43. Chris ran a little closer to home at the Reading Half Marathon and in blustery conditions clocked 63:39.